Agitato Grandiose Legato for Cellos is inspired by the soaring melodic styles of Williams and Mancini. 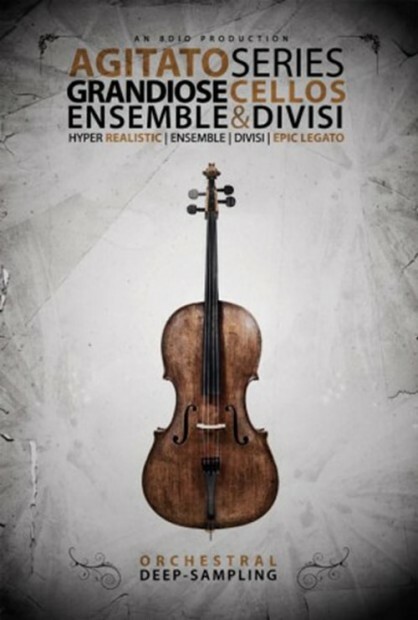 We recorded both Ensemble and Divisi Cellos, which are offered as stand-alone and bundled libraries. The concept of these libraries is to nail that fast, soaring, melodic Hollywood legato we’ve always wanted, but never had. The Agitato Grandiose String series are completely compatible with our Adagio and Adagietto series, yet we also designed them to be compatible with other string libraries, so you can use it however you like.